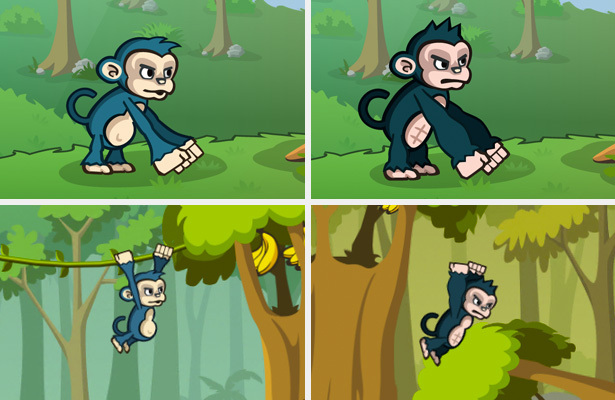 Choose animal menu for side-scrolling defense game Lumberwhack. 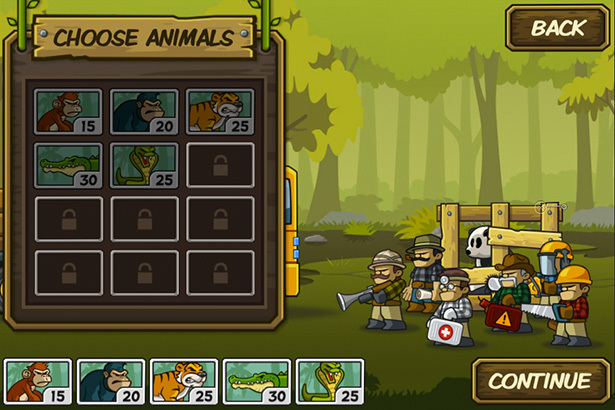 Here is an example of the 'Choose Animals' screen that is displayed before the 'Choose Skills' screen and just before you start playing a level in the game. 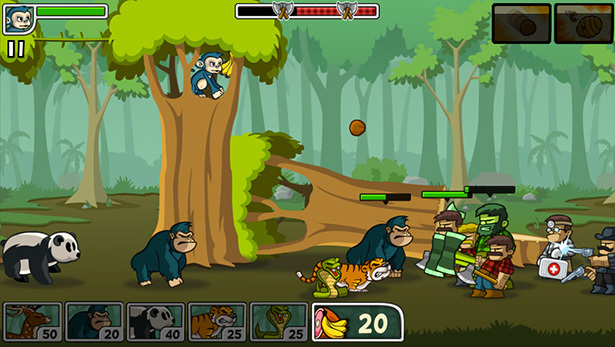 In this case, all animals have already been chosen, and there is only five animals available at this stage of the game. 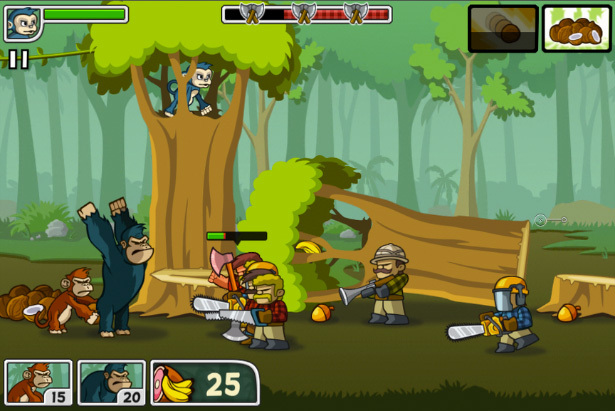 Upgrade menu for side-scrolling defense game Lumberwhack. 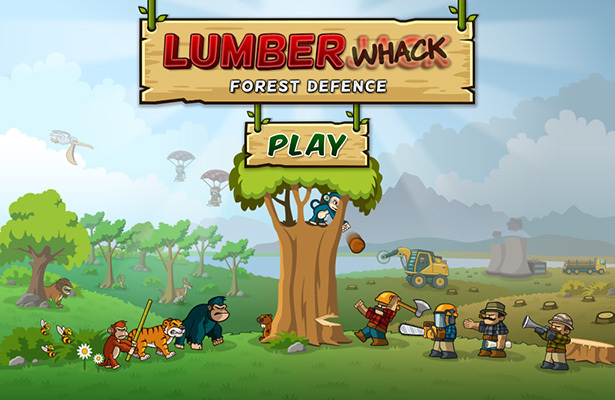 A screen shot from the upgrade menu of Lumberwhack. 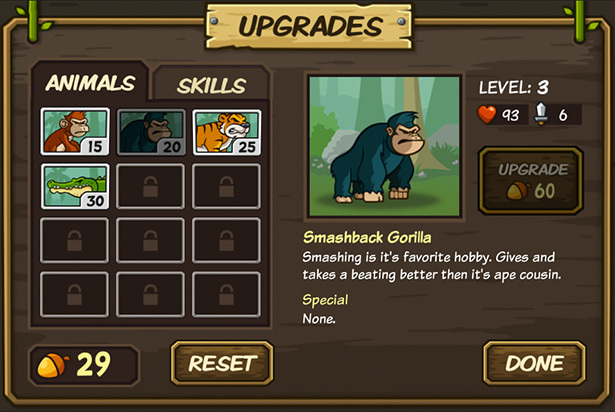 Only four animals and three skills have been unlocked so far and are therefor available for upgrades. Acorns that has been collected or rewarded when a level is completed is used as currency for upgrading. Both the damage and health of the animals increases when being upgraded, but the skills attributes increases a bit different depending on there specific unique ability. Map menu for side-scrolling defense game Lumberwhack. 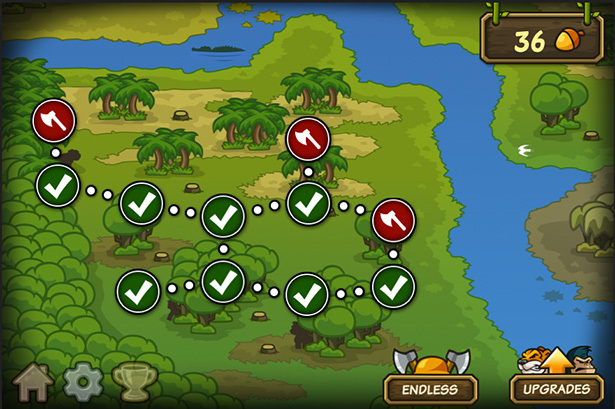 Here is a screen shot of the map menu for Lumberwhack, just before you choose which level to proceed playing. This is in the early stage of the game, it is possible to drag the map around and view the whole explorable area when playing the game.